As a cosmologist and healer, Dr Jude Currivan has journeyed to nearly seventy countries around the world and has explored and studied numerous important sacred sites and places of conflict. 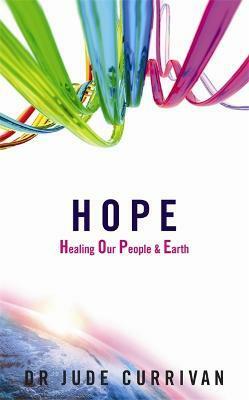 HOPE shares her understanding and experiences of the energetic connections between people and places from a spiritual perspective which is informed and expanded by leading edge science. HOPE investigates too how different groups and countries reflect and embody the same themes and issues that we experience on an individual human level. It reveals how the history of different areas of conflict around the world and our collective fear-based behaviours are based on traumas that we have energetically continued to resonate with - and crucially how to heal and release them. HOPE also shows the cosmic connection between astrological influences and the 'bigger picture' of what is unfolding, and explores why 2012 is so synchronistically destined to offer us the breakthrough of a shift of collective consciousness - if, as the Mayans say, we choose to do so!